Projects are a way for you and your collaborators to contain, organize, and share your files. Each project belongs to an account, and users on an account can be added to projects as needed. You can arrange your files in whatever way you like, but the most effective way is to use one project for each product. Files - Keep all files related to a product in one project, not only CAD data, but spreadsheets, images, etc. All file types are accepted. If many components are shared between products, you can keep them all in a common parts library project. If you're just getting started, upload these files first. When you go to your account page, the first thing you see is the list of all the projects you can access. They will be shown in tile view sorted by last modified by default, but the controls on the left allow you to change to list view or alphabetical sorting. When in thumbnail view, there are shortcuts shown on hover, and when in list view you can have the description appear as a column. To view projects in a different account, use the drop-down menu next to the account name. If you are the account admin, you will also be able to see projects that other users on your account have created under "Other projects in account" and you can join them in the Users tab. Once you are set up with the Desktop App, projects in your default account will appear in the projects list, where they are connected to a folder on your computer. The GrabCAD folder on your computer will contain folders for each project you've connected. 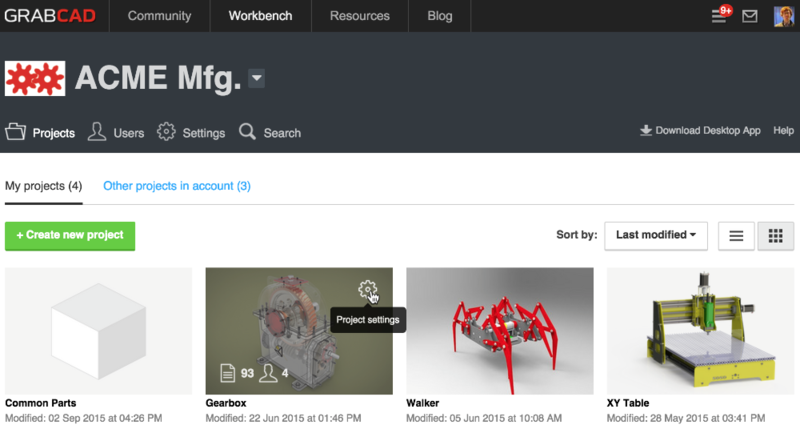 You can also use "manual connections" to connect a Workbench project to an existing folder outside the GrabCAD folder. From your Account page, you can click the green "+Create new project" button to start an empty project. 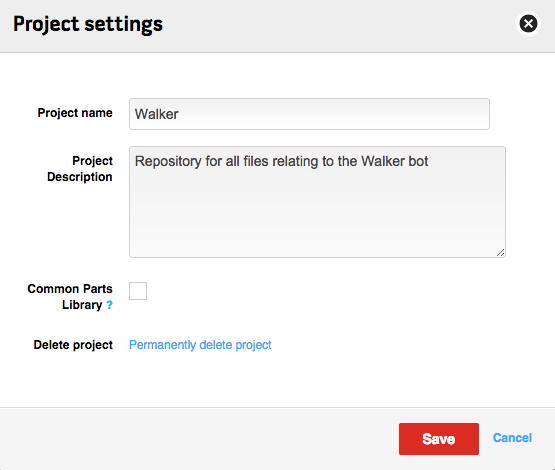 Once you name your project, you will be brought into the project where you can upload files or invite your team. Simply click the "+New" button next to GRABCAD FOLDER and a new project will be created both online and in your GrabCAD folder. Add files to the project by clicking "Open Folder" and moving files into the folder that is shown. Invite your team by clicking on "Open Project" to be brought to the project online. You can also make a new project by moving a folder into your GrabCAD folder, or creating a new empty folder in your GrabCAD folder. This is the simplest way to migrate your data into Workbench if your files are already organized into project folders. Learn more about how to invite users to projects and what to do when you are invited to a project. If you are an account admin and you are having trouble using the Desktop App with a project that one of your teammates created, see hear to learn how to join your collaborators' projects. Anyone who has been added to an account as an activated user can create projects. Anyone who only has access to a Partner Space in your account, or has been deactivated, will not be able to create projects. From within a project you can view and upload your project files as well as invite users to collaborate on your project. 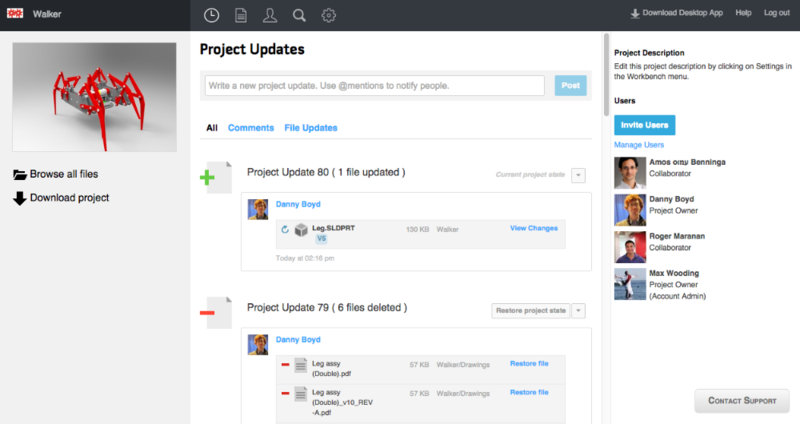 At the top of project page is the project navigation where you can view your project Updates, access Files, manage Users, Search across all your files and modify project Settings. Updates: Selecting this view will bring you to the updates feed which gives you a timeline of changes to the project. Files: The files view shows you the file structure of you project allowing you use the 3D viewer to view your CAD models. Users: Here you can invite and manage collaborators in your project allowing user to access the project as view only, collaborators, or project owners. Settings: The settings option allows the project title and description to be edited. You can also delete your project here or make this project into a Common part library. At the top right of the project page you can download the Workbench Desktop App (Windows only) to easily sync your local files with your Workbench project. Additionally, you can click help to be directed to the Workbench help pages or click Log out to sign out of your account. Comments and file updates are shown in sequential order in the center pane, and you can filter between the two by clicking on "Comments" or "File Updates." On the right side you can see at a glance who the users on the project are and their roles, and for more details you can click on "Manage Users" which brings you to the Users tab. You can also invite new users to the project, including users not yet on the account, by clicking the "Invite Users" button on the left and either selecting a user from the list of users on the account or adding new users by entering their emails. Additionally, you can communicate with your whole team about the project in general by posting a comment at the top of the page. Depending on the email settings of the users on the project, they may receive an email notification about this comment. Users will not be notified of comments made from within a project's Partner Space unless they are explicitly invited to that Partner Space. To make sure a notification is sent regardless of the situation, use an @mention. The updates feed is where you can access files that have been deleted. Scroll to the project update in which they were deleted and click "Restore file" to add them back to the project. You can also restore a project back to a desired point in time by using "Restore project state" and you can download a snapshot of the project from a certain point in time by using "Download project state." Read here to learn more about restoring projects. 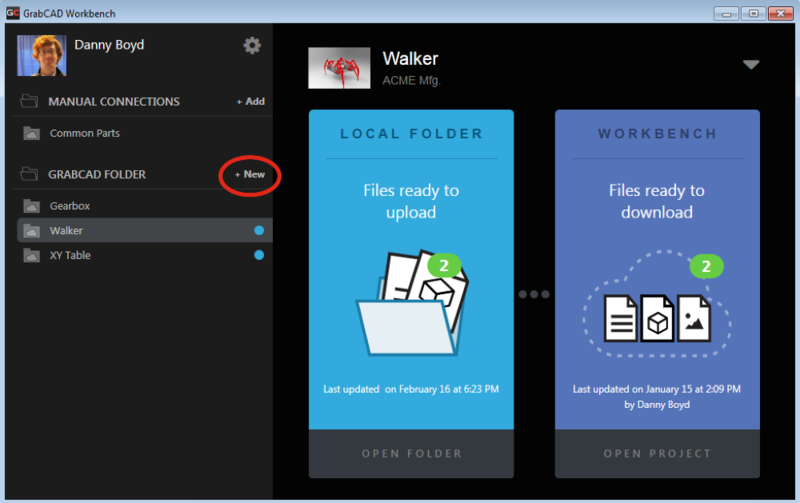 Wile viewing a folder you can organize your files, as well as perform actions on multiple files at once. The sorting for files is: folders / top level assembly / other assemblies alphabetically / other files. You can click the column headings to change the sorting from alphabetically by file name to another another criteria, but the arrangement of folders, assemblies, and files will remain the same. You can select multiple files at once by shift+clicking, and you can arrange files by clicking and dragging. To upload files from this interface, click "Upload" in the top left corner, or drag files from your computer into the desired folder. You can access the File Options menu by right clicking a single file. While viewing a 3D file, you can perform all the actions in the 3D viewer, but there are numerous other actions available from this view. You can bring up the version history window by clicking the blue version label (or purple revision label) to the immediate left of the file name. Change the configuration, if applicable, using the drop-down menu beneath the file name. On the right side, there is a tab for comments and for properties, which will contain all custom and CAD system properties if available. To navigate to Partner Spaces in the project, scroll to the bottom of the file tree and click the name of the Partner Space. You can create new Partner Spaces by clicking "New" at the top of the file tree (Requires Project Owner role). Read here to learn more about Partner Spaces. On the Users tab, Project Owners can edit the roles of other users on the project, and regular users can remove themselves from the project if needed. Project owners and Collaborators can invite new users to the project using the "Invite Users" button. Find the files you need by entering keywords in the search box. You can narrow your search by using the facets on the left, and you can expand your search to other projects in the same account that you have access to using the checkbox at the top. The settings menu is where you can edit the project name and description, set the project as a Common Parts Library, or delete the project. When you select to "permanently delete project" from the settings menu your project will be removed from the account page and you no longer be able to access it. If you happen to accidentally delete a project please contact support by emailing support@grabcad.com.